If you can't make up your mind between shorts or a skirt, have it all and go both ways with the Elevate 2in1 Short– and still run light and loose! * To say these 2in1 shorts are light doesn't seem to nail the description: they float around you, barely there. Just the silky sensation of the single pique fabric against your skin is part of the pleasure of wearing it and running in it. * The skirt has a cute low curve behind, to flatter the rear view. The waistband, made with a fast cooling jersey fabric, is wide enough to sit tight without squeezing. A zipped pocket and 2 more hidden waistband pockets give you all the options for stashing snacks and other bits and pieces. * The Polygiene® fabric limits any whiff potential. 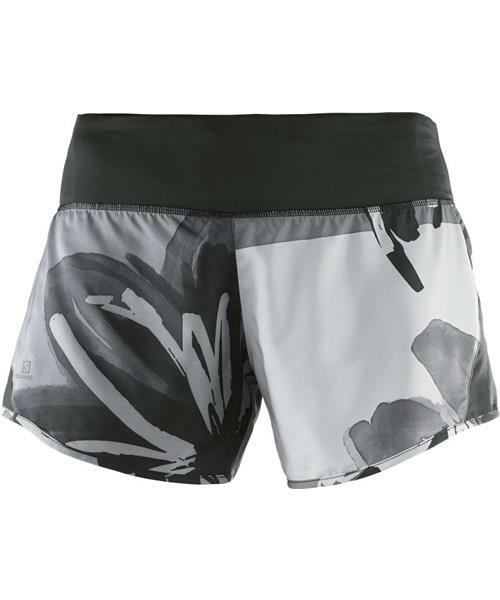 And the AdvancedSkin ActiveDry fabric is the long-winded way of saying that this fabric dries faster than you can run!